Bollywood Actress, Reema lagoo died after 3 am due to she was suffered a cardiac arrest at 59 in Kokilaben Hospital in Mumbai. The cremation of the actress will be held today. According to Reema Lagoo’s son-in-law through news agency PTI, “She was complaining of chest pain so we took her to hospital around 1 am. She passed away due to a heart attack around 3.15 am. She was perfectly fine and had no health issues…so it is really shocking for all us that she is no more with us.” Hospital authorities said they will issue a statement later after consulting Ms Lagoo’s family. Earlier Reema Lagoo was a veteran actress of the Marathi stage and performed in some Bollywood films, working with celebreties including Salman Khan and Akshay Kumar. Reema Lagoo is survived by her daughter Mrunmayee who is also an actress. She was born in Nayan Khadbade in 1958 and the daughter of a famous Marathi actress. After finishing school in Pune, she started acting as a profession. 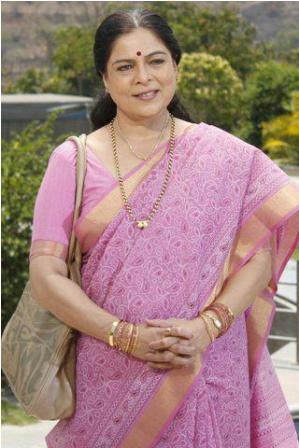 The popular roles of Reema Lagoo were as mother of the top celebreties. She played Salman’s mother in the film Maine Pyar Kiya, Saajan and Hum Saath Saath Hain, played Akshay’s mother in the film Jai Kishen, Kajol’s in Kuch Kuch Hota Hai, Shah Rukh Khan’s in Kal Ho Na Ho, and Madhuri Dixit’s in Hum Aapke Hain Koun. She played Sanjay Dutt’s mother in the film Vaastav, in which her character kills her criminal son. She also won four Filmfare awards for Best Supporting Actress.